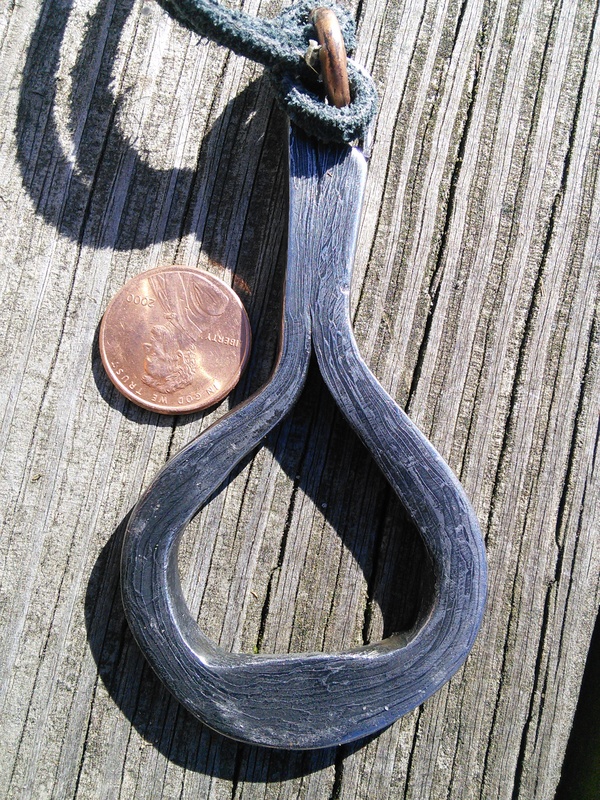 Forge welded from 1″ multi strand cable and etched to reveal the beauty of the pattern. 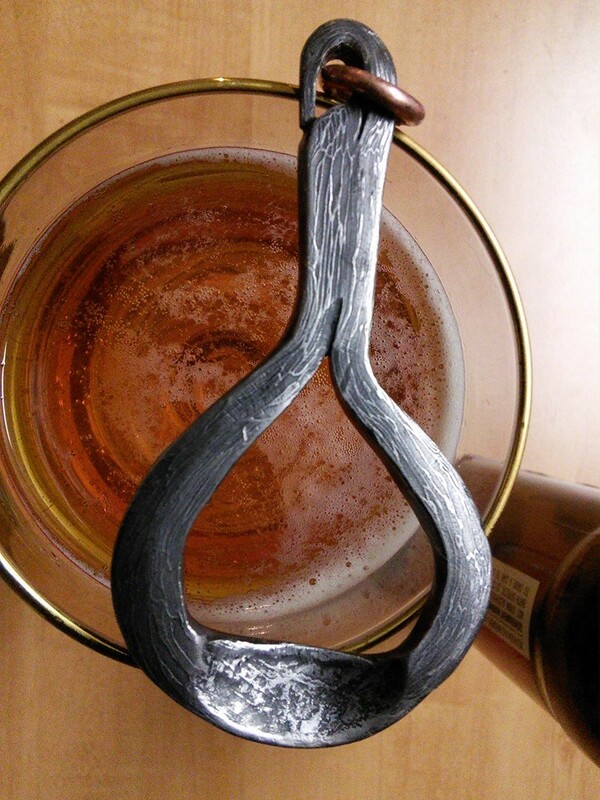 Forge welded 1″ multistrand steel cable, drawn out and forgewelded to form a bottle opener. Copper ring to wear as a pendant.